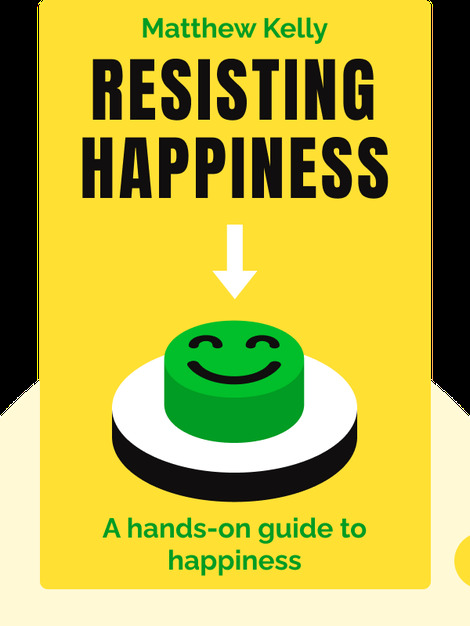 Resisting Happiness (2016) is a probing exploration of the reasons we sabotage our own happiness. 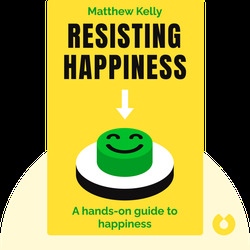 Drawing on author Matthew Kelly’s deep well of personal experiences, it’s a profound and personal guide to leading a happier and more meaningful life. Happiness, Kelly believes, is a choice. If we want it, we have to choose it. And that means overcoming resistance and negativity. Matthew Kelly grew up in a Catholic household but didn’t truly connect with his faith until his late teens. That’s when he embarked on his career as a religious public speaker. Since then he’s authored 20 books, which have reached an audience of millions around the world. These include the New York Times bestseller The Rhythm of Life. In 2009, he founded the Dynamic Catholic Institute, an organization that aims to help people reconnect with Catholicism in the United States.